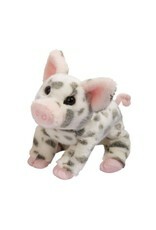 Charming plush piglet Pauline is as cute and cuddly as they come. 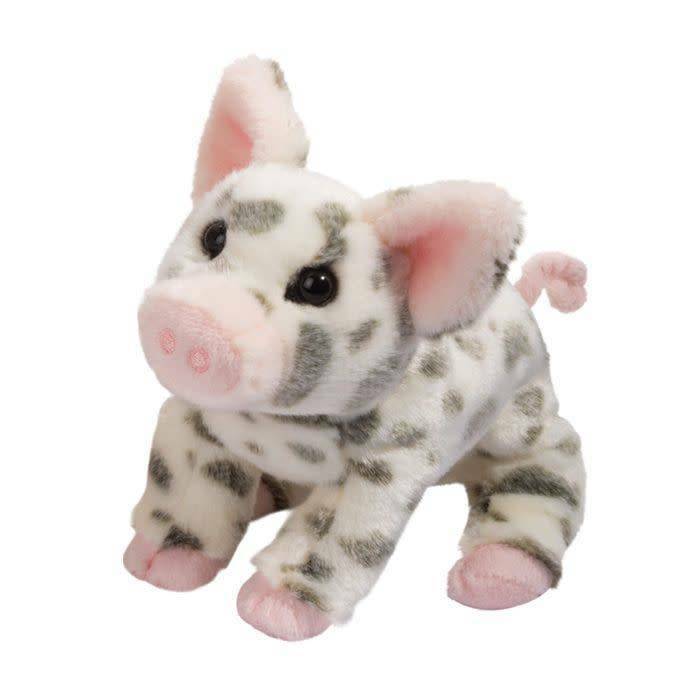 From her curly pink tail to the hairs of her chinny-chin-chin, this adorable plush critter is sure to delight pig lovers of all ages! Pauline’s body is made of lustrous, white polyester fur spotted with gray. Her ears, tail, embroidered nose and hooves are adorably pink. She’s filled just right for hugging. Her expressive eyes will capture your heart.